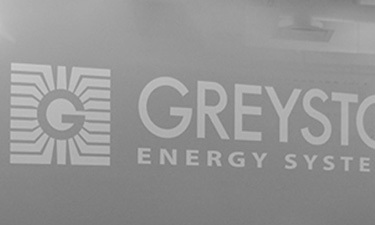 ©2003-2015 Greystone Energy Systems Inc. All rights reserved. Greystone grants you permission to copy documents copyrighted by Greystone and published by Greystone on the World Wide Web for personal or non-commercial use only within your organization. In return, you agree not to remove any copyright and other proprietary notices which are contained in such materials. No authorization is granted to copy documents not copyrighted by Greystone which may appear on or be reached by links from Greystone Websites. Except for the right granted above, no materials available on Greystone Websites may be copied, stored, transmitted by any means, including but not limited to electronic, mechanical, scanning, photocopying, or recording, without the prior express permission of Greystone Energy Systems Inc.
Greystone expressly reserves all intellectual property rights it may possess in products, processes or technology which appear on Greystone Websites. MATERIALS AVAILABLE ON GREYSTONE WEBSITES ARE PROVIDED “AS IS” WITHOUT WARRANTY OF ANY KIND, EITHER EXPRESS OR IMPLIED, INCLUDING, BUT NOT LIMITED TO, THE IMPLIED WARRANTIES OF MERCHANTABILITY, OR FITNESS FOR A PARTICULAR PURPOSE. IF YOUR JURISDICTION PROHIBITS EXCLUSION OF IMPLIED WARRANTIES, THE EXCLUSION OF IMPLIED WARRANTIES MAY NOT APPLY TO YOU. IN NO EVENT WILL GREYSTONE BE LIABLE TO ANY PARTY FOR ANY DIRECT, INDIRECT, SPECIAL OR OTHER CONSEQUENTIAL DAMAGES FOR ANY USE OF THE MATERIALS OR INFORMATION ON THIS WEBSITE, OR ANY OTHER LINKED WEBSITE, INCLUDING, WITHOUT LIMITATION, ANY LOST PROFITS, CLAIMS OR DEMANDS, OR BUSINESS INTERRUPTION, EVEN IF WE ARE EXPRESSLY ADVISED OF THE POSSIBILITY OF SUCH DAMAGES.